Tonight's episode runs the gamut on topics. Kay welcomes returning guests, Doc Marquis and Dr. David Schnittger, of South West Prophecy Ministries (SWPM). They discuss the blessings God is bestowing upon the ministry and the wonderful things to come. Also, politics are put on the table. 2 of the 3 topics we are taught as children to never bring up in a group setting or one on one, they do it. Faith and politics. This makes for an exciting interview with lots of insight. Listen in on this ... Maggiori informazioni timely and interesting talk. Grab your Bible, cup of coffee, kick back in your favorite chair and get comfy as Kay and guests promise you another interesting and important broadcast. Coming next Sunday on Deception Detection Radio, Doc Marquis will join Kay to discuss the true origins and just exactly what all hallows eve truly is. It will air on Friday, October 30th at 7pm est. It is a special edition. Deception Detection is now available on FaceBook, YouTube, PodKicker,Twitter, Instagram, Google+, Tumbler and SoundCloud. If you enjoy tonight's episode, please, like, share and subscribe. 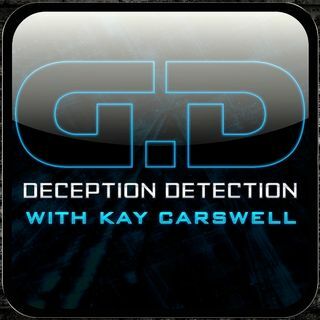 You can also reach Kay directly on FaceBook and at DeceptionDetectionRadio@Yahoo.com and she will answer your email. Thank you for tuning in!